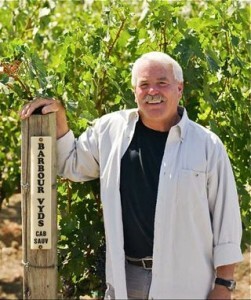 Ask for the top vineyard management companies in the Napa Valley and Jim Barbour and his crew from Barbour Vineyards are going to be on the short list. With over 30 years experience in agri-business and grape growing, Jim knows how to grow grapes and has done it for some of the top vineyards in the Napa Valley including Match Vineyards, Grace Family, DR Stephens Estate, Hundred Acre, Pillar Rock, Lieff Wines, Revana, Parallel, and many others. Jim also farms his own Cabernet Sauvignon vineyard and with Heidi Peterson Barrett makes an awesome wine from Barbour Vineyards. You can reach Barbour Vineyards to find out more about their vineyard management or wines via their website. With roots in the Valley deeper than their vineyards’, the owner/managers of Piña Vineyard Management are 5th generation Napa Valley farmers. That’s lucky for us, because Baconbrook’s austere soil and lack of water provide special challenges but with worthwhile results. In addition to our Baconbrook Vineyard, the Piñas have farmed some of the top vineyards in the valley including Bryant, Cafaro, Dina (Terra Rosa), Frank Family, Gemstone, Hughes, Johnson (Bisou), Kapcsandy, La Jota, O’Shaughnessy, Outpost, Pahlmeyer, Roy Estate, Sawyer, Showket, Vogt Vineyards and Winston Hill. They also put their expertise into producing their own killer Cab. 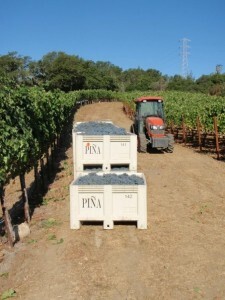 Check it out at their winery’s website: Piña Napa Valley.